William Hughes leaves high drama to his Hollywood A-list friends and clients. There’s only room for one crusader in the family and that role falls to his saintly mother, a doctor who has devoted her life to the children of the world…seeming to forget she has a son of her own. But one tragic missed opportunity to help a friend still haunts him. When asked to fly Daria Fontina and her two daughters to a safe house in the Black Hills, William doesn’t hesitate. He trusts his highly reputed English reserve to shield him from the immediate attraction he feels toward Daria. Luckily, even if his heart were to succumb, the beautiful young mother would never risk her hard-gained freedom on a globe-trotting loner whose glamorous—if empty—lifestyle might prove too great a trade-off for a shot at a life he never thought he deserved. When push comes to physical abuse, Daria Fontina knows she has no choice but to leave her powerful politician husband. Fear for her children’s safety makes escaping to her grandfather’s home the Black Hills her only option. Putting their lives and safety in the hands of a handsome Englishman with a jet seems like jumping from the frying pan into the fire. But one thing she’s learned from her marriage—actions speak louder than words, and the depth of compassion she reads in William Hughes’s eyes comes from great loss. 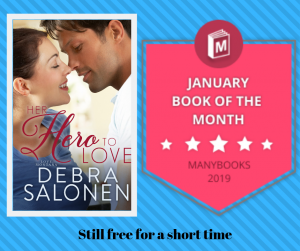 Her rescuer might not be riding a white horse, but he seems prepared to take on whatever army her estranged politician husband sends after her. A woman could fall for a man like that—even a woman who has no intention of falling in love again. Ever. William Hughes heard Cooper Lindstrom’s voice echo off the stretched canvas walls of the oversized teepee. Everyone did. The sixty or so people squeezed into the odd, distinctly Sentinel Pass venue turned to look at him. “My pleasure,” he lied, crafting a deliberate smile that he was certain would fool most people. It wasn’t that he didn’t care about the newlyweds. He did. Kat was one of the sweetest people he’d ever met, and Jack seemed like a decent chap. The two were the embodiment of love. At the moment. The problem stemmed from William’s faith in the institution of marriage. But, of course, he couldn’t do that. Never mind that one of his clients texted him earlier that day to say she’d met lucky husband number six—or was it seven? Never mind that William’s parents, who had been married six months longer than William had been alive, had spent the vast majority of those years on separate continents, maintaining completely separate lives that only included him when it was convenient. He would do his duty, support his friends and give it the old school try. The English way. Forget the fact he was only half Brit. He set his empty champagne glass beside one of the many poinsettia plants anchoring the reception’s holiday theme and walked to the center of the circular room. Famous faces, like Cooper and paparazzi favorite Morgana Carlyle, shared space with regular folk, the disparate group brought together by Sentinel Passtime, a TV show based on Cooper and his wife Libby’s real-life love story. He looked at the pair, sitting shoulder-to-shoulder, Coop’s hand resting on Libby’s pregnant belly. William was glad he wasn’t flying them back home after the wedding. Libby’s doctor had provided a written okay for her fly in her third trimester, but only on a commercial airline. That was fine with William—his mother might be able to deliver babies under extreme conditions, but William was a pilot, not a selfless doctor-slash-saint. The threat drew a few chuckles, but it also accomplished what he’d intended. The crowd quieted. The only noise was that of the caterers in the adjoining shop. He clinked his glass around the bridal table. “Your gift from me awaits you at the airport, fueled and ready to take you on the first leg of your honeymoon,” he told the bride and groom. The bride’s sons let out a loud cheer, since they were included in the first part of the trip—a visit to Disneyland. As he understood from Cooper, the two boys would then spend a few days with Shane and Jenna, two close friends in L.A. who weren’t able to make the wedding. William’s admiration for the woman grew. She was a good mum. William’s heart rate spiked slightly. Flying was his drug of choice and he rarely passed up a chance to escape into the clouds. But messy divorces were definitely not his thing. He’d babysat more than a few clients who couldn’t pick a decent mate if their life depended on it, and, at least once, it had. “Mafia,” Cooper mouthed with an over-the-top look of mock horror. His joke earned a chuckle from everyone at the table and shifted the focus to Coop, giving William a chance to slip away. He didn’t want anyone thinking of him as a hero. He’d already proven he couldn’t be trusted in that role. He’d give this woman a lift if she called. But chances were good she wouldn’t. And as selfish as it sounded, he hoped she tried some other avenue first. Counseling, therapy, a restraining order—anything that didn’t involve him. Yes. Apparently his social radar was broken. He hadn’t even heard Morgan approach the small bistro table where he was standing. “Liar. Do you know how I know something’s going on with you?” She’d been his client for several years and she knew him as well as anyone did. He looked at his hands. Good heavens, she was right. A napkin he couldn’t recall picking up was in a shredded heap at his feet. “I had word today that my father is ill,” he admitted. “He called you?” Her surprise showed on her expressive face. 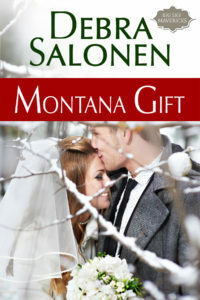 Morgan was one of the few who had some small inkling of the disconnect between William and his parents. “The C-word,” Jack’s sister had called it. William’s minor involvement in the planning and execution of this wedding had put him in contact with Rachel Grey on several occasions. She’d mentioned her father’s death and her boyfriend’s remission almost in the same breath. While not privy to the details of either case, William assumed that meant the disease wasn’t a mandatory death sentence. Those very same questions had been ruminating around in his brain for hours, contributing to his current headache. “I have no idea. I only heard the news a few hours ago. I haven’t spoken with Mum, but Notty did mention she was returning to England. “You’re a very cynical man, William Hughes-Smythe,” she said using his full name. He’d dropped the Smythe when he moved to America, thinking the combination seemed a bit pretentious when paired with the accent he couldn’t completely shake. Maybe a part of him had hoped for some sort of reaction from his parents. Outrage. Annoyance. Even relief that his underachieving choice of job wouldn’t sully the family name. There had been none. “I have a business to run. Clients’ hands to hold, noses to wipe.” Morgan was one of the few on his client list who didn’t need coddling. “Abused women to transport,” he added, grabbing the one straw that might deflect her obvious concern. William spotted Mac, Morgan’s fiancé—and Libby’s brother…Lord, the interconnectedness of this group made his head spin—motioning for her to join him and the little girl pulling him toward the cake cart. William watched her traipse across the room into the waiting arms of Mac McGannon. William liked Mac a great deal and didn’t feel the least bit threatened, but he couldn’t blame the man for feeling possessive. The couple spent a lot of time apart given Morgan’s job and Mac’s obligations in Sentinel Pass. They planned to marry sometime in the future and William wished them all the luck in the world. He could speak volumes on the subject of long-distance marriages—at least from the point of view of a child from such a marriage. But what was there to say, after all? So he hadn’t had a storybook upbringing. What did it really matter? He’d learned a long, long time ago not to expect anything from his mother and father in the way of warm, familial exchanges. They simply weren’t that sort of people, and no amount of wishing or hoping or dreaming would ever change that. He looked around the room at the many outwardly happy people. Morgan and Mac were wrapped in an embrace, now, smiling with such tenderness they could have been a poster for Hollywood’s next blockbuster romance. And while the marriage had lasted—on paper, at least—their family was a complete and utter sham. No wonder, he supposed, that while he might wish for a wife and family of his own, he had little faith that he’d ever manage to acquire one. He turned to watch her hurrying toward him with far more grace and speed than she gave herself credit for. She grabbed his arm like an exhausted swimmer clinging to a buoy. She gave him a soft peck on the cheek then waddled back toward the crowd. Gallant? He gave a wry smile and shook his head. The word brought to mind sword play and white chargers. He was nobody’s white knight. He might have aspired to the role at one time, but he’d learned the hard way that he didn’t have what it took, and an innocent person had paid the price. Maybe that was the real reason he couldn’t say no to helping this Daria woman and her children. Daria Fontina looked up from the two enormous plastic storage containers she’d bought that morning at the post-holiday clearance sale to see her youngest daughter standing in the doorway of the family room watching her. Daria had been meaning to organize their Christmas decorations for years, and now seemed like the perfect time. Half for her, half for him. “Taking down the tree, sweetie. Christmas is over. It’s time to move on,” she told Hailey, who was tossing the shiny black ball she’d received in her stocking Christmas morning, a gift from the Santa Claus she no longer believed in—thanks to her sister. She and Daria both laughed. Hailey, who was five going on fifty, and her older sister Miranda were Daria’s purpose for living, her one true joy, her passion and her drug. Her love for them was probably partly to blame for the Grand Canyon-size wedge that had grown between Daria and Bruce over the years. That and his election to the State House of Representatives in Sacramento. Two worlds and three hundred miles apart. He hadn’t understood how much they’d grown apart until last August when she’d asked him for a divorce. In the five months that they’d been separated, Bruce had done everything in his power to prevent the inevitable from happening—further proof of their complete and utter disconnect, in her opinion. Still, they’d agreed to a cease-fire over the holidays. “For the girls’ sake,” he’d claimed, but Daria was certain he wanted the détente to prove to his family that he was still in control. She’d expected there to be fireworks, but Bruce had been a complete gentleman. In fact, his courtly, model behavior had reminded her so much of the man she’d fallen in love with and married, she’d almost—almost—started to have second thoughts about the divorce. “See the two piles? You can start wrapping the more delicate ornaments and putting them in this box for Daddy.” She scooted sideways and patted a spot beside her on the plush white carpet. Bruce’s pick. Only a man who wasn’t part of the day-to-day business of living with two young children would insist on white carpet. “When is Daddy moving home?” Hailey asked, joining her. Daria’s cheeks flushed with heat and she quickly returned to wrapping ornaments. Damn. Make one little mistake and look what happens. She wished she could blame the holidays or that extra glass of wine she and Bruce had shared after they’d put the girls to bed, but she knew that wasn’t why she’d done what she had. It had been watching Bruce read The Berenstain Bears’ Christmas Tree—a book that had been Daria’s favorite as a child—to Hailey that had softened her heart so much she was completely powerless to resist Bruce’s tentative, wounded-little-boy kiss under the mistletoe. Which, of course, had led to a much more fiery exchange that had wound up in the bedroom they’d shared for twelve years. She was human, after all, and all the women’s magazines made a point of saying that she was at her sexual peak. She’d caved in to need and nostalgia. Once. She’d slept with her husband. Once. Then sternly insisted he go back to his mother’s house instead of spending the night. “I don’t want to confuse the girls,” she’d told him. Hailey’s index finger began inching upward toward her right nostril—a bad habit that had gotten worse the past few months. Daria handed the little girl a sheet of crumpled tissue paper to distract her. “Would you like to wrap the ornaments that your great-grandmother brought over from Italy? I’m putting all the special Fontina family ornaments in this container.— For Bruce to put on his own damn tree next year. Daria started filling the second box with things she’d accumulated before her marriage. Her mother had bought her a dated ornament every year she’d been alive. They were funny, silly, sentimental, and all very special to Daria, but she would never berate her daughters or make them dig into their allowance money if one broke, as Bruce had last year, ruining everyone’s Christmas Eve. The handmade quilted skirt was adorned with gold ribbon and sequins. Daria had never seen anything like it, and while she gave Hester credit for the tremendous amount of time and effort it must have taken to make it, Daria hated the darn thing. Always had. She found it gaudy and sort of cheesy, and yet, she’d used it for twelve Christmases without argument. Some battles weren’t worth fighting, though, she’d decided a long time ago. If that made her a coward, so be it. But this was the last holiday she’d put the ugly thing around the base of her tree. She’d only used it this time as a sort of peace offering. Plus, money was tight, thanks to Bruce’s legal shenanigans. “That’s right, Hailey,” a voice said from the doorway behind them. Daria and Hailey both jumped guiltily. Kermit fell between them as Hailey flew into her arms. Daria could feel her daughter’s heart racing against her own. He stood with arms folded across his chest, leaning against the door jamb. She guessed that he’d been leisurely eavesdropping for quite a while. In the past, she’d been able to sense where he was at any given moment that he was home—behavior typical of people living in highly charged abusive environments, she’d learned in one of the counseling sessions her lawyer had encouraged her to attend. Their months apart must have removed her edge.